What’s in store for CBS’ Magnum PI revival? Recently, SpoilerTV teased some details from the reboot series pilot. 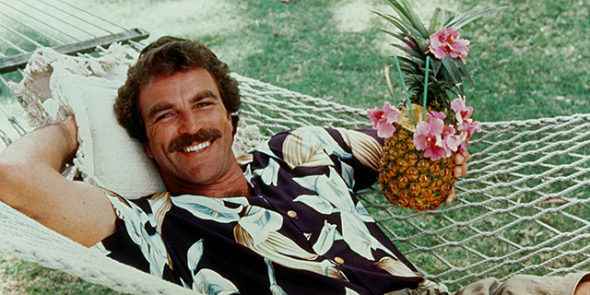 The original Magnum PI starred Tom Selleck as Thomas Magnum, a private investigator who lives in Hawaii. The cast also included John Hillerman, Roger E. Mosley, and Larry Manetti. The show ran on CBS from 1980 to 1988. And while Higgins has changed, some key details will remain the same. In the reboot, Magnum will still drive a 308 GTS Ferrari and the show will feature two dogs. What do you think? Are you a fan of Magnum PI? Would you watch the CBS reboot? More about: CBS TV shows: canceled or renewed?, Magnum PI (1980), Magnum PI (1980): canceled or renewed?, Magnum PI (2018), Magnum PI (2018): canceled or renewed? I loved the original when I was in high school! I’m also a big fan of the reboot! Very well done! While I’m open to watching what it will look like, I already think it’s a big error to change Higgins to a woman, because the tension will be between those 2 instead of having Magnum being a ladies’ man and having girlfriends all around as the typical bachelor he is. Higgins brought the frank camaraderie between guys and frank discussions too, an essential in Magnum’s story. That rapport will be lacking in my view.